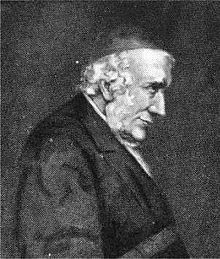 Edward Bouverie Pusey (22 August 1800 – 16 September 1882) was an English churchman and Regius Professor of Hebrew at Christ Church, Oxford. The Book of Daniel is especially fitted to be a battle-ground between faith and unbelief. It admits of no half-way measures. It is either divine or an imposture. The writer, were he not Daniel, must have lied on a most frightful scale. In all adversity, what God takes away He may give us back with increase. Letter to Charles Dodgson, Jan 1851, following the death of Dodgson's wife. Take steadily some one sin, which seems to stand out before thee, to root it out, by God's grace, and every fibre of it. Purpose strongly, by the grace and strength of God, wholly to sacrifice this sin or sinful inclination to the love of God, to spare it not, until thou leave of it none remaining, neither root nor branch. Fix, by God's help, not only to root out this sin, but to set thyself to gain, by that same help, the opposite grace. If thou art tempted to be angry, try hard, by God's grace, to be very meek; if to be proud, seek to be very humble. Quoted in "Daily Strength For Daily Needs "
Let me not seek out of Thee what I can find only in Thee, O Lord, peace and rest and joy and bliss, which abide only in Thine abiding joy.Lift up my soul above the weary round of harassing thoughts to Thy eternal Presence. Lift up my soul to the pure, bright,serene, radiant atmosphere of Thy Presence, that there I may breathe freely, there repose in Thy love, there be at rest from myself, and from all things that weary me ; and thence return, arrayed with Thy peace,to do and bear what shall please Thee. Amen. Lord without Thee I can do nothing; with Thee I can do all. Help me by Thy grace, that I fall not ; help me by Thy strength, to resist mightily the very first beginnings of evil, before it takes hold of me; help me to cast myself at once at Thy sacred feet, and lie still there, until the storm be overpast; and, if I lose sight of Thee, bring me back quickly to Thee, and grant me to love Thee better,for Thy tender mercy's sake—Amen. http://www.gutenberg.org/ebooks/8534 (Daily Strength for Daily Need).